These 4 wheel Go-Karts feature heavy duty metal frame with high backed bucket seat, providing maximum safety and low-riding comfort. Kids can ride this go-kart on solid surface and grass, and can control the speedwith pedal. 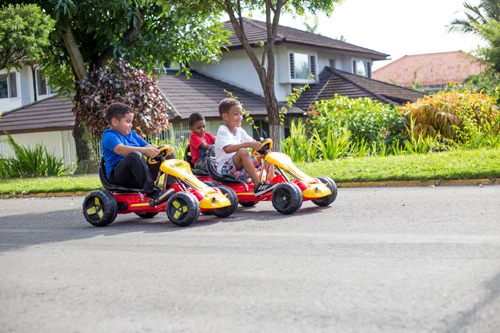 Every kid will definitely love these 4 wheel Go-Karts as they can get started learning to steer and drive! Recommended for children ages 3 –7. Attendant provided.